On December 29, 1890, the U.S. Seventh Cavalry killed more than two hundred Lakota Ghost Dancers- including men, women, and children-at Wounded Knee Creek, South Dakota. After the work of death ceased at Wounded Knee, the work of memory commenced. For the US Army and some whites, Wounded Knee was the site where a heroic victory was achieved against the fanatical Chief Big Foot and his treacherous Ghost Dancers and where the struggle between civilization and savagery for North America came to an end. For other whites, it was a stain on the national conscience, a leading example of America's dishonorable dealings with Native peoples. For Lakota survivors it was the site of a horrific massacre of a peacemaking chief and his people, and where the United States violated its treaty promises and slaughtered innocents. 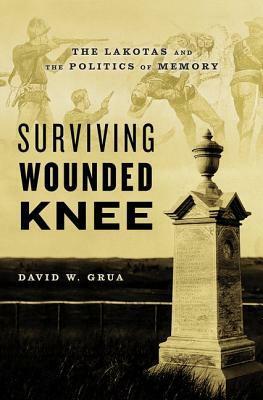 Historian David Grua argues that Wounded Knee serves as a window into larger debates over how the United States' conquest of the indigenous peoples should be remembered. During the five decades after Wounded Knee, the survivors pursued historical justice in the form of compensation, in accordance with traditional Lakota conflict resolution practices and treaty provisions that required compensation for past wrongs. The survivors engaged in the politics of memory by preparing compensation claims, erecting a monument "in memory of the Chief Bigfoot massacre" at the mass grave on the Pine Ridge Reservation, by dictating accounts to sympathetic whites, and by testifying before the U.S. Congress in the 1930s in support of a bill intended to "liquidate the liability" of the United States for Wounded Knee. Despite the bill's failure, the survivors' prolonged pursuit of justice laid the foundation for later activists who would draw upon the memorial significance of Wounded Knee to promote indigenous sovereignty. Published on the 125th anniversary of this controversial event, Surviving Wounded Knee examines the Lakota survivors' half-century pursuit of justice and points to lingering questions about the United States' willingness to address the liabilities of Indian conquest.